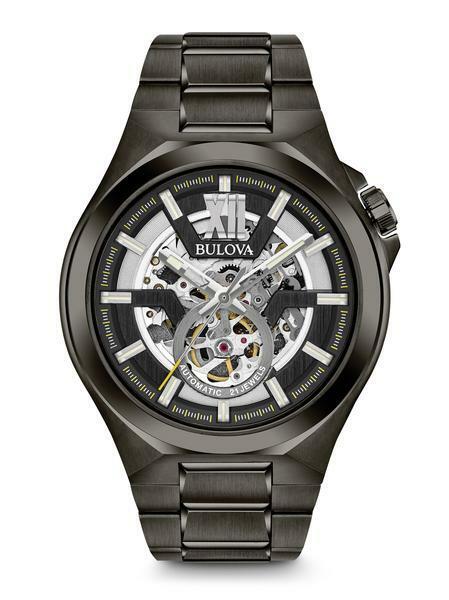 Structured design built to finish the job, by Bulova. 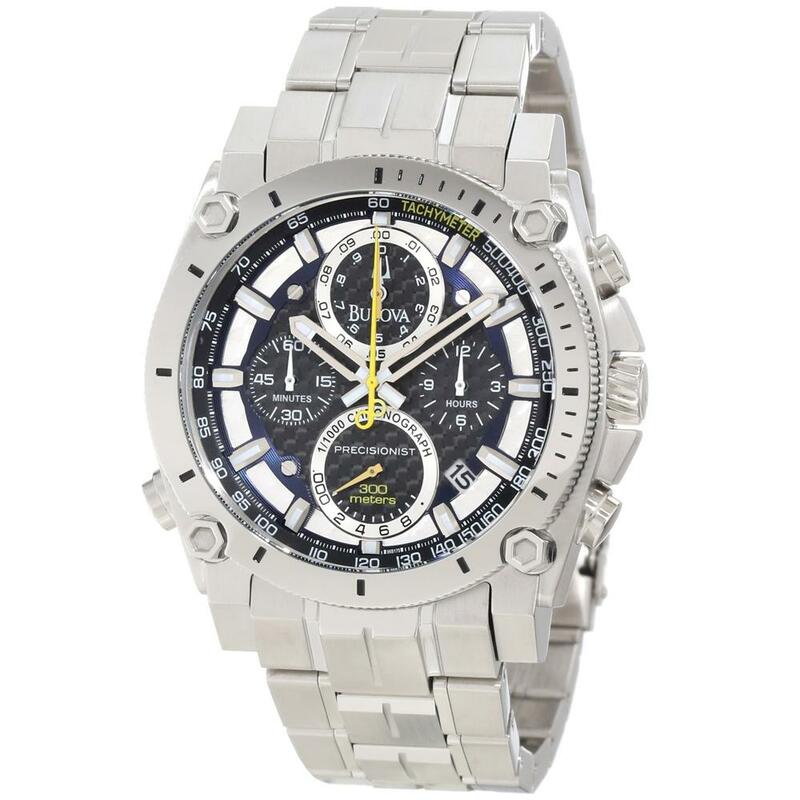 This Precisionist collection watch features a continuously sweeping second hand to keep time accurate to ten seconds a year. Stainless steel bracelet. 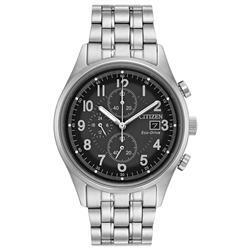 Round stainless steel case, 47mm, markers and lugs at bezel Black patterned chronograph dial with three hands, stick markers, three hands, yellow accents, date window and tachymeter scale at outer ring. 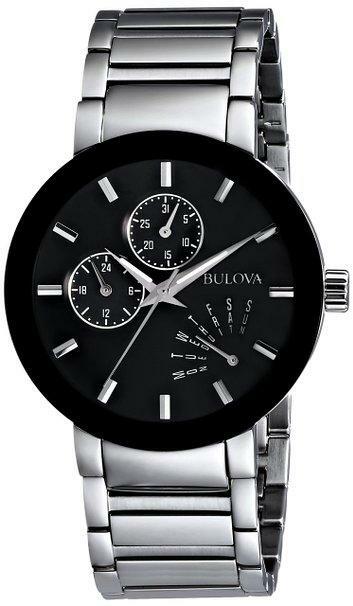 Quartz movement, Water resistant to 300 meters Three-year limited warranty.